How do low-income people feel about not having health insurance? It is “scary,” and people feel “vulnerable” and “worried” according to a new report titled “Faces of the Medicaid Expansion: Experiences of Uninsured Adults who Could Gain Coverage.” These words will ring true for practitioners who work with low-income noncustodial parents, especially in Black and Latino communities where people are much more likely to not have access to affordable health insurance and healthcare. 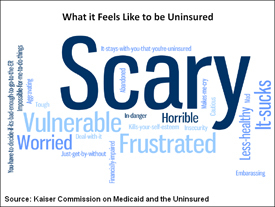 The Kaiser Commission on Medicaid and the Uninsured recently conducted focus groups in four cities to learn what low-income uninsured people think about the possibility of becoming newly eligible for Medicaid in 2014 as a result of the Affordable Care Act (ACA), also known as Obamacare. The focus groups were held in: Cincinnati, Ohio; Houston, Texas; Las Vegas, Nevada; and Tampa, Florida. These four states “currently have very limited Medicaid eligibility” for adults with dependent children, and do not offer Medicaid to non-disabled adults without dependent children — so-called “childless adults” which include the majority of typical noncustodial parents. As a result of the US Supreme Court’s decision regarding the constitutionality of the ACA, each state’s policymakers have the option to expand Medicaid to all low-income adults or not. Many states’ governors have indicated they will expand Medicaid eligibility. 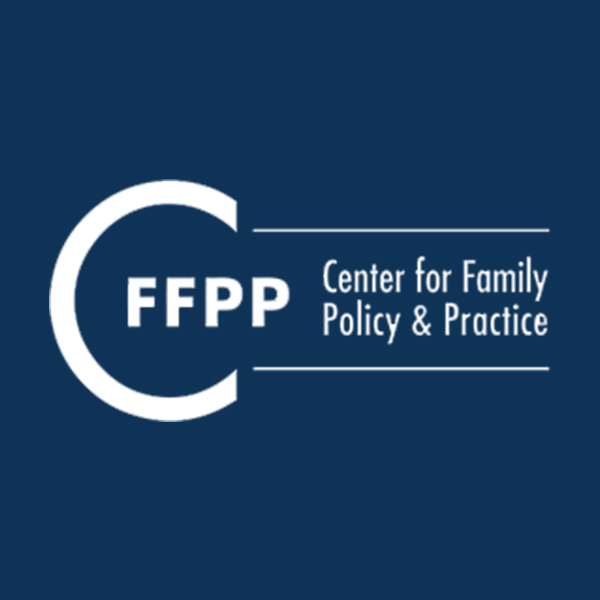 However, several states’ policymakers have expressed significant opposition, particularly where black people are more likely to gain new access to health insurance, according to CFFPP’s analysis in our August 2012 Policy Briefing. Of the four states in the Kaiser focus groups, Nevada has indicated it will expand Medicaid to all low-income adults, but the governors of the more-populous states of Florida and Ohio remain undecided, and the governor of Texas has said he will not expand Medicaid. Black and Latino people in Florida and Texas are especially likely to not have health insurance. If people had access to health insurance through an expansion of the Medicaid program, “nearly all” of Kaiser’s focus-group participants said they would enroll in Medicaid. Additionally, low-income people in the focus groups said they “would seek preventive care … get a check-up and establish a relationship with a primary doctor” as well as seek care for ongoing and/or chronic physical and mental health issues.